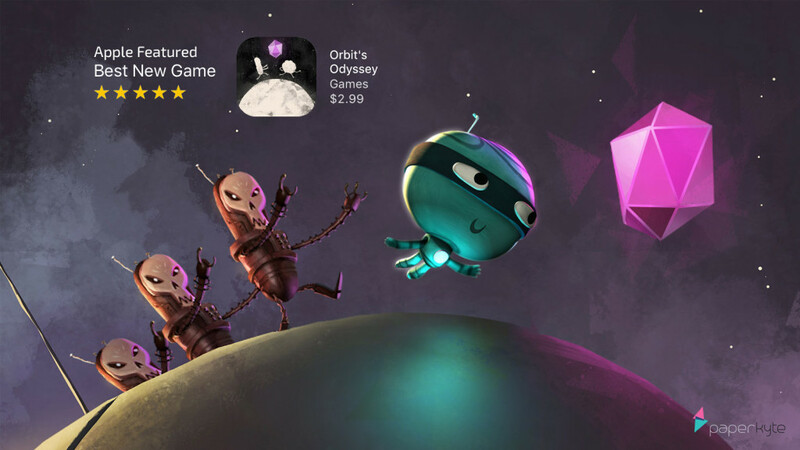 Apple has shown some love to Orbit’s Odyssey and featured it as a ‘Best New Game’ for the week of April 21st. 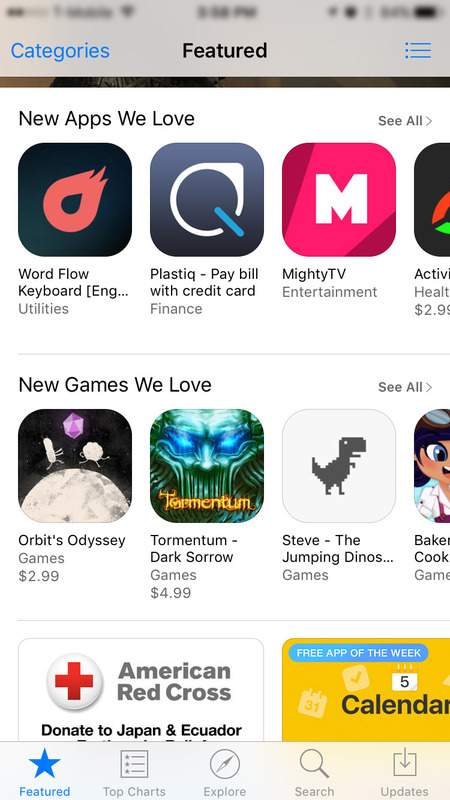 Apple typically rolls out their featured apps every Thursday on the Appstore’s main page. And this week was our turn! We at paperkyte are obviously super stoked to be featured. Getting featured is just the first step. Building a sustainable brand is where it’s at! It’s been a journey to get featured. We aim for this post to be a knowledge share with our fellow developer community highlighting the steps we took to be here today. Check into our blog page to track the brand building exercises we undertake to make Orbit a household name. 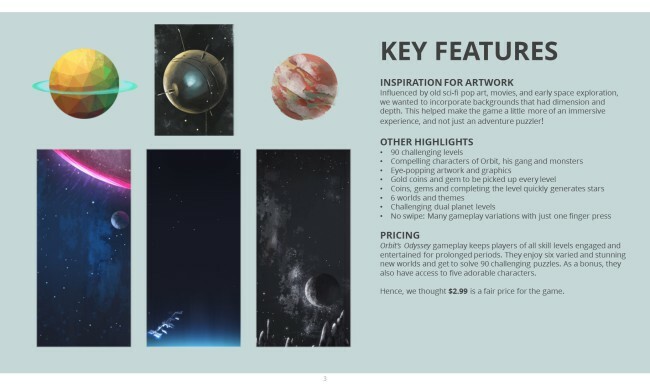 A little disclaimer: This is in no way a guide or a blueprint to get featured on the App store, but deliberate activities we took care of during the production and marketing process that helped put Orbit’s Odyssey on the map. Build a great game with a unique game mechanic – From the onset, our mission was to build a unique game that players would love. 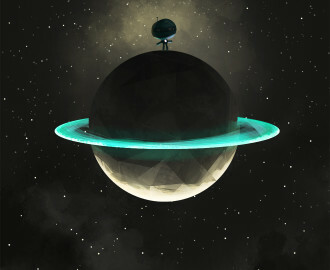 We incorporated the innovative planet-portal mechanic, with stunning art style to boot. Both these features were novel and were never before experienced on a mobile game! 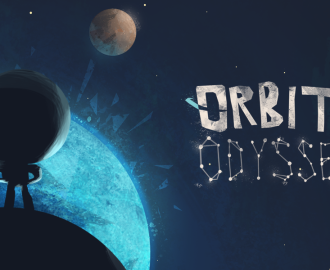 We strongly believe this made a huge difference in Apple picking Orbit’s Odyssey as a ‘Best New Game’. Have a laser-like focus on innovation & engagement – We think editors at Apple lay a lot of emphasis on game innovation and player engagement. Once we had our MVP, we tested and iterated on it heavily – Our focus group couldn’t get enough of the game. That was the a-ha moment when we knew we had a winner in terms of engagement. Anyone who played the game while in production had great things to say on the teleport mechanic. We believe this innovative feature was the biggest differentiator that made the game unique, fun and engaging. 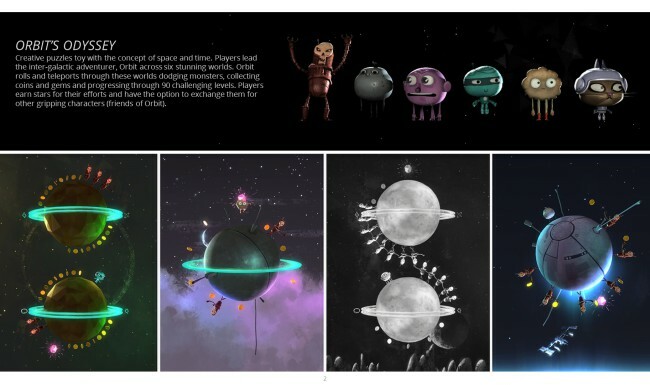 Level up the art style and visuals of the game – We roped in an accomplished art director (we encourage you to do so too), and this made a huge difference on the visual style of the game. For the art we were heavily influenced by old scifi pop art, movies, and early space exploration. Our animators put in tons of effort in bringing the concept art and characters to life. While the game designers and the team chimed in on user interface. We worked meticulously on appeal, visual quality and usability of the app. 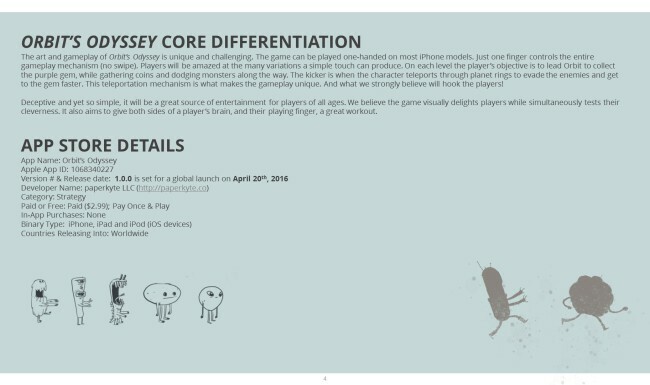 Showcase Apple’s device capabilities – We leveraged iPhone’s accelerometer to give the game an immersive experience. Although this was NOT part of the game mechanics, the subtle parallax effect added to the stunning visual look of the game. Spin a compelling backstory/narrative – This was absent in our earlier free and soft launched versions. 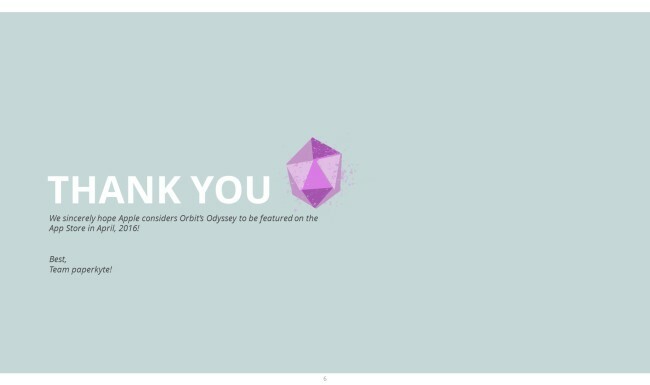 Our PR company prodded us to have a strong narrative, hence we came up with a backstory that elucidated to the players why Orbit does what he does. 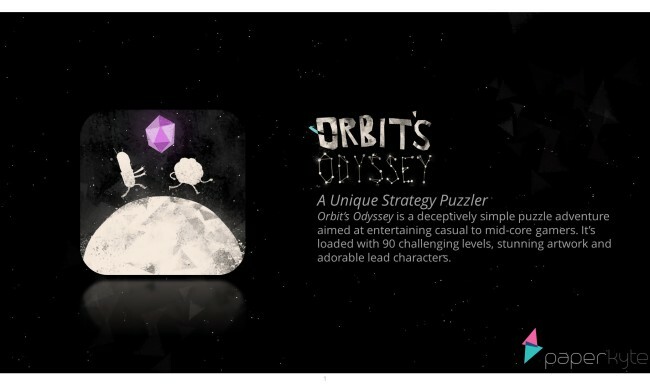 Visit Orbit’s backstory to learn more on the backstory. Make the app product page appealing: We crafted each and every aspect of the App product page carefully, right from developing a unique icon, eye-catching screenshots and a compelling preview. In addition we came up with meaningful and entertaining description that highlighted the features and benefits of the game and localized in 16 different languages. Put yourself in the user’s perspective and ask yourself honesty if you would download this game within a 5 sec attention span (while viewing the app store page). Develop a pitch to Apple and give them a 21 days notice pre-launch – Plan the release well. Commit to a launch date and plan backwards to pitch to Apple. Ensure you give Apple 3 weeks of notice with a feature request mail to appstorepromotion@apple.com. Include the launch date, some details on the game, why your game is different, the team that worked on it. We’ve attached a pitch deck that we sent to Apple for your reference. We hope you find this useful! This wouldn’t have been possible without the help of our sister animation company Aatma, who took care of all production and promotional assets. And Novy who did an awesome job with PR. We hope you found this useful. 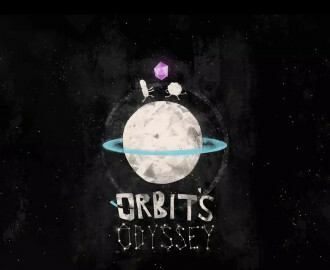 When you have the time, do check out Orbit’s Odyssey. Here’s where you can download – Apple, Android, Amazon. 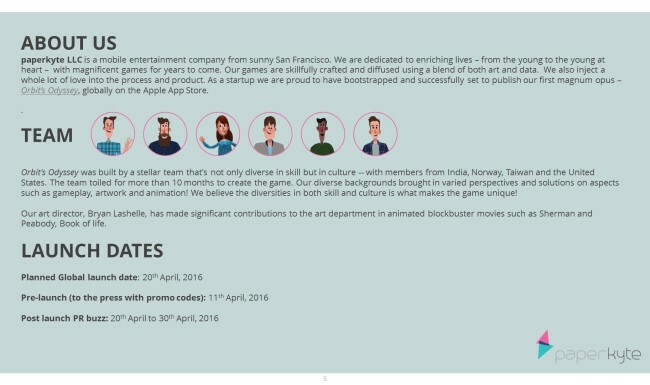 Say hello to us if you want to introduce your studio/game to us. We would love to speak with you!